A 48-year-old man from St Helens died in hospital after last night's M6 crash, police have said. 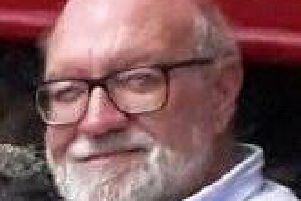 He suffered fatal injuries after his HGV collided with another close to the junction with the M55 at around 11.45pm, and died after being taken to Royal Preston Hospital, a spokeswoman said. The accident happened when a BMW travelling south hit the central reservation and skidded into the path of a HGV in the first lane, the spokeswoman added. "That lorry stopped and the lorry behind it collided with the back of the first one," she said. "It's the second lorry's driver that died." The motorway was closed between junctions 33 and 32 for around six hours to allow recovery and investigation work to be carried out. Shortly before the accident, at 11.08pm, the motorway policing unit tweeted: "M55 where it meets the M6 has a good covering of snow at present. @HighwaysNWEST have assisted a couple of drivers that have lost control." It is not yet clear whether the road conditions contributed to the crash. Witnesses have been urged to call police on 101, quoting log number 1339 of January 12.